It was shortly before our marriage in 1998, that we (Joan and Ueli) visited Australia. 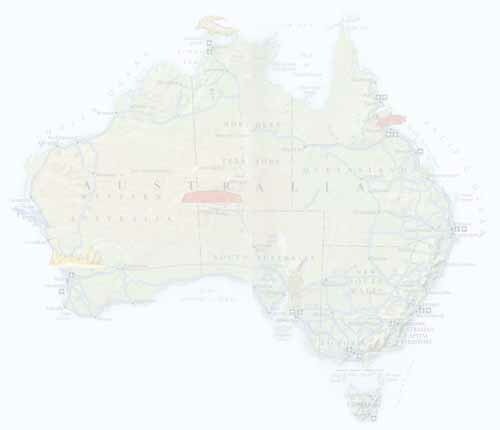 In spite of having 4 months at our disposal, we ran short of time and missed visiting western Australia. Now, as we had accumulated sufficient Advantage Miles (after having spent generously for free family member trips over the past years) that we decided to add the missing part of this great Continent. Like the previous trip, it should be a combined experience of driving a car and flying some of the same routes by plane. It will be exciting, as this time, we have selected fall to early winter (down under) as our travel season. Having booked our flights at a late stage only three months in advance, which is late for Advantage Mileage, we had to accept a somewhat indirect route with several stops. Naturally, it will be a round the world trip. First flying from Switzerland to the Far East, then onto Australia and thereafter to our Boulder, Colorado home, where we intend to stay a few more months before we close the circuit and return to Europe for Christmas. On the following pages (see inset directory at the top left) we want to share some of the highlights of our trip. Perhaps it may suggest a travel destination for future journeys of yours.